Building a new home in Southeast Michigan? Bolton Septic offers complete septic installation. Let us design a new system for you. If you are building a new home in Oakland, Livingston, Wayne or Washtenaw County and your property is not serviced by municipal sewer service, you will need to install a new septic system. The septic system will be designed and sized to meet the specific demands of your new home, lot limitations and soil conditions. As with a septic system repair, the first step for a new construction septic system is to have a perk test done to determine soil conditions. At that time, a permit can be issued which will detail the requirements for your specific septic system. This entire process can be handled by Bolton Septic, your builder, or a combination thereof. If you are looking for new septic installation, we would love to serve you! Depending on the city, township or other municipality, you generally have some flexibility as to when the septic system will need to be installed as part of the overall construction project. Some communities allow the septic to be installed as one of the last components of the project. This is often preferred by builders because it allows access to the home by heavy trucks and equipment without the need to worry about running over and/or causing damage to a new septic system. Let us take care of your new septic installation! When Bolton Septic installs your new septic system, we will work directly with your builder to establish a timeline and scope of work so there are no surprises for anyone. 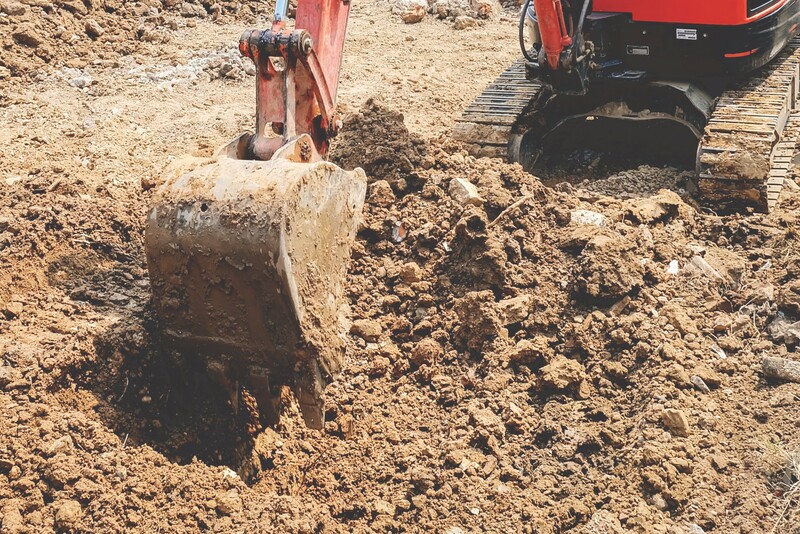 Because installing a septic system requires the use of heavy earth moving equipment, we may also be able to help with other earth moving projects; saving you time and money! We work directly with your builder. When Bolton works on a new septic installation, we will work directly with your builder to establish a timeline and scope of work so there are no surprises for anyone. Like any other trade, we work independently and require little instruction during the installation process. However, unlike other trades, we do like to communicate with you during the construction process. As the homeowner, our goal is to create a working relationship with you so that you understand the system we are installing – and so that after your home is complete we can be the natural choice for cleaning your septic tank every 1-3 years as part of a regular maintenance schedule. Another benefit to working with Bolton Septic to install your new septic system is our willingness to address other items which require heavy equipment while we are there. We can help grade your lot once we are finished. We can help with seed/straw or install new sod if that is your preference. Depending on your lot, we can help create boulder walls, retaining walls or other landscape accents that compliment your new home. Whether you are experiencing issues with your existing septic system or installing a new system for your new home, we can help!